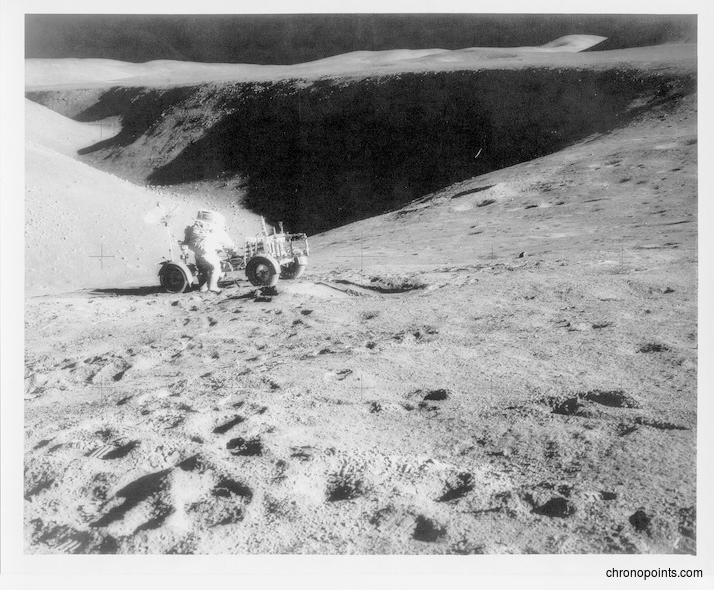 A Lunar Roving Vehicle (LRV) from Apollo 15 on the Moon. Manned by astronauts David Scott (1932-), Alfred Worden (1932-), and James Irwin (1930-1991), Apollo 15 was launched from the Launch Complex 39A at John F. Kennedy Space Center in Merritt Island, Florida, on July 26, 1971. 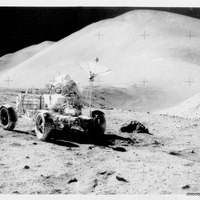 This was the first lunar mission equipped with a LRV, or Lunar Rover. This allowed astronauts with unprecedented capabilities to move around the Moon's surface, as they traveled 17.5 miles during their time on the surface. Apollo 15 returned to Earth on August 7. 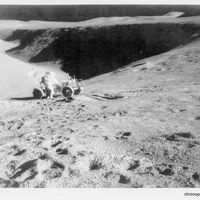 Original black and white photographic prints, 1971: Private Collection of Dr. Calvin D. Fowler. Digital reproduction of original black and white photographic prints, 1975. 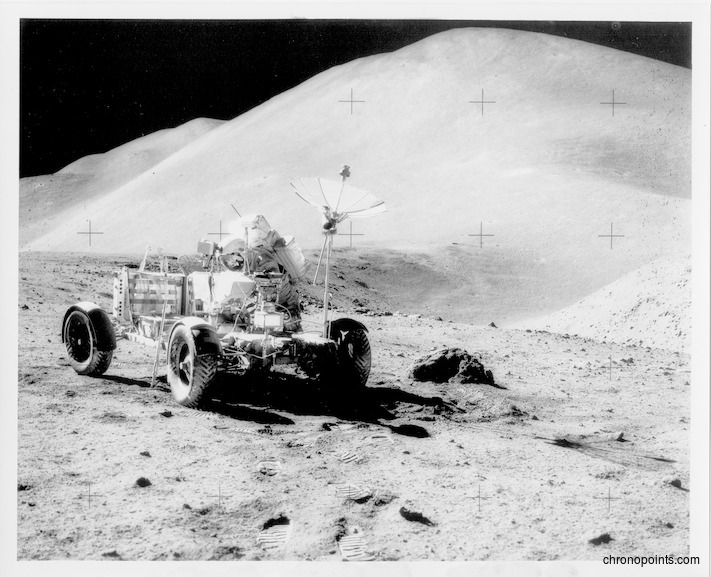 “Apollo 15 Lunar Rover on the Moon.” RICHES of Central Florida accessed April 21, 2019, https://richesmi.cah.ucf.edu/omeka/items/show/6378.